CoachTube Basketball Training Advisor Chris Corbett recently had the chance to interview renowned speed & agility expert Rich Stoner on the topic so many ambitious young athletes seek answers to. How can you gain an edge this offseason? Check out Rich’s answers below and then head on over to his industry-leading CoachTube course. 1. What are the 3 biggest benefits of working on basketball specific agility that players will notice in-game? Much of what we work on centers around proper footwork. Many players and parents don’t realize that footwork is THE essential component of improved speed and agility. 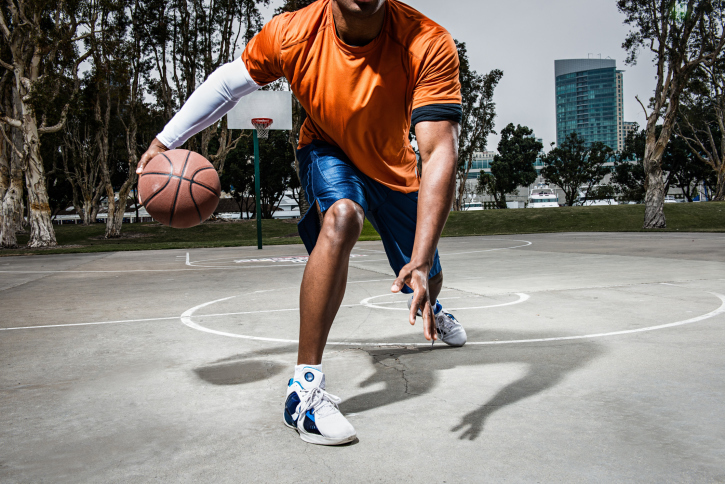 Your feet put your body in the right or wrong positions on the basketball court. By consistently working on placing your feet in the right position, you can improve your balance and your overall performance. 2. What are the top 5 questions your training clients and their families ask you about in terms of basketball speed and agility training? 1. What can I be doing at home to increase my first-step quickness? 2. How do I improve defensively? 3. Is there a specific diet I should follow for basketball? 4. How old should I be before I begin lifting weights? 5. How does weight training help increase my speed and agility? 3. Can you share with me what a typical Saturday training-day looks like for you and what the expected rewards are for these sessions? Saturday is one of my busiest days at Elite Basketball Training. It typically begins at 8 am with personal skills development workouts for many of my higher level players. These players are looking for more personal attention and I work with them on a 3-1 player to trainer ratio. These players also get workouts written by me that cater to their specific needs on the basketball court. The benefits of such programming is that they are constantly working to improve the specific parts of their game that need work and receiving a large amount of feedback throughout the hour. The feedback is crucial to their development as they then know what to work on for the next week. From 9-10:30, we have Saturday Skills group training. This group-based workout is designed to develop all facets of the game of basketball and is scaled based on ability. Throughout this time, we focus on improving ball handling, attacking, finishing, jump shooting, on-court speed and agility, conditioning, basketball IQ, and playing ability. As a result of this thorough approach to training, the players’ overall game improves tremendously. Many of these players then stay for an additional hour of sports performance training. At Elite Basketball Training, our sports performance programming is designed to improve your overall athleticism as it relates to your performance on the basketball court. This includes but is not limited to injury prevention, mobility/flexibility, speed, agility, quickness, power, strength, and balance. Players who train this way see improved performance on the court because they are more physically prepared than their opponents. They can run faster, jump higher, last longer, and are injured far less frequently than the players who do not. 4. 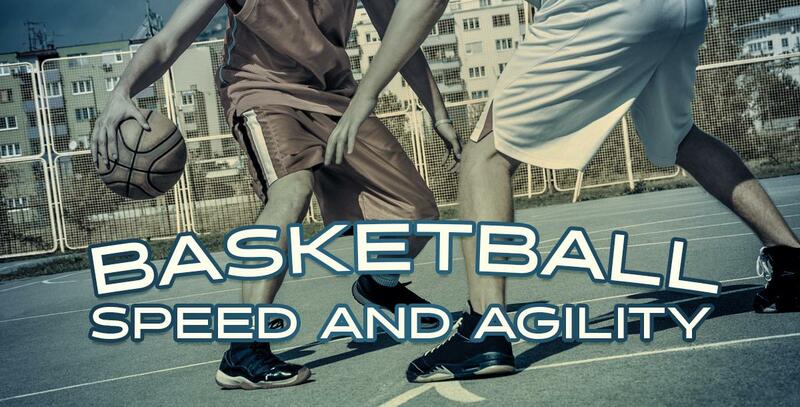 What is the top tip you would share with a close friend about basketball speed and agility? I am of the philosophy that the stronger and more powerful you are the quicker and more agile you will be. If you can exert more force on the ground, you will more quicker. This is a direct result of the strength and power development in our weight training regimen. Yes, footwork and balance are extremely important but there is a direct transfer between strength, balance, and footwork. The stronger the human body is, the more able they will be to put their bodies in the best positions for success on the court. 5. What are the common pitfalls in preventing people from reaching their basketball speed and agility goals? A lack of training and/or understanding that training for basketball speed and agility or general physical preparedness is important. There is too much of a focus on gameplay as a year-round component of player development. This leaves no opportunity for fitness training and little time to develop the athleticism that is necessary to take your game to another level. It also leaves very little time for physical recovery. As a result, players do not develop the skills or athleticism they need to perform their best on the court. Furthermore, overplaying and a lack of down-time puts a lot of stress on your body which leads to injuries that could have been prevented if there was an offseason to recover and train. The best players are in the best shape and they train to be in the best shape. Our tagline at Elite Basketball Training is, “Elevate your game. Become Elite.” We provide programs that, if taken advantage of, will be the difference maker for you on the court. This could be the difference in being injured or not being injured, making the team or not, starting or sitting on the bench, playing in college or just being a high school player… you get the idea. Ultimately, players and parents need to understand that sports performance training, which includes speed and agility training is important. 6. Speed and agility training can be mentally challenging. Do you have any personal stories that might inspire us to keep at it? When I was in 8th grade, I had been playing basketball for a few years, and I was on par with my team’s better players in terms of basketball skills. I had been cut the year before as a seventh grader but had worked hard to make the team in my final year of middle school. I made it all the way through to the final tryout and was one of two players to get cut. That moment was one of the worst in my life up to that point, but looking back on it now, it might have been the best thing that ever happened to me. I know it’s silly to think that getting cut from a middle school basketball team is a life-changing moment, but honestly, it was for me. I had some skills, but ultimately, I was slow, overweight, and out of shape, none of which are good qualities to have as a basketball player… by any stretch of the imagination. Having been cut from the team for two straight years, I could have given up and ended my basketball career right then and there. However, I did not give up and I vowed to make the high school basketball team. I worked harder than I ever had in my life to improve my basketball skills but ALSO get myself in the best shape possible. My hard work paid off, and I made the freshmen team, ultimately working my way into the starting lineup. This trend continued throughout high school, as I became a starter at every level, including my junior and senior years on two highly successful varsity teams. But it was that moment I got cut in middle school that really defined me as a person and helped mold me into who I am today. It forced me to establish a work ethic that surpassed those around me. To this day I train myself harder at the age of 37 than most teenagers and 20 year olds do, and I attribute it to that time in my life. 7. Do you have any clients who have really inspired you, and if so, why? One of my first clients, Dallas Ouano is definitely an inspiration to me. At the time, I was just starting out as a trainer and Dallas had watched me put his younger sister through a basketball skills development workout. As a former player, he loved it. About a week later, Dallas came to me and asked me to train him with the intention of walking-on at Villanova. He dedicated that whole summer to his training which consisted of basketball skills development and sports performance training at least three days per week. That fall, he was the only player of the many who tried out to who make the practice squad, and a year later, he was given his coveted walk-on position. He even became a team captain his senior year. His work ethic and drive was so impressive for a teenager (at the time) and it inspired me to be a better trainer and to up my own workouts in order to keep up with a player who was over 10 years younger than me. 8. You have a course here on Coachtube called Basketball Speed and Agility. What can we expect from that? Our Basketball Speed and Agility product is a great approach to maximizing your training time by using multi-skill drills that combine basketball skills development with speed and agility training. There is a testing component that will allow you to set the bar for yourself or your team, then an extensive compilation of drills that will improve your basketball-specific speed and agility. Basketball speed is very different than the type of speed a sprinter or cross-country runner would have. You must have the ability to change movements and directions in a split second with and without the basketball. This is a skill that needs to be worked on and our product enables you to do that in the most efficient manner possible. I have plans to make a new speed and agility course in the near future, once I finish up a couple of other projects that I’m working on. It will include some of my new toys that I have been using to develop basketball speed as well as new drills that I have been demoing during my workouts. I would recommend using my course as part of your daily training. The drills are multi-functional and therefore apply to any skills development workout you create. To try these drills, check out Rich’s course here.